Vortic Watch Co is an incredible company that makes amazing, hand made products. 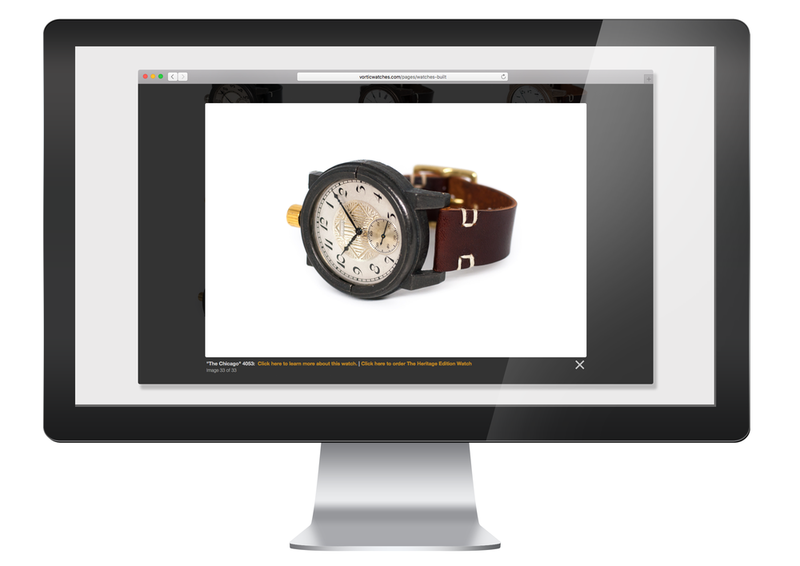 They have a great in-house designer who put together a killer website on the Shopify eCommerce platform to feature their railroad-era pocket watches turned wrist watches, they just needed some help with a few custom features and improvements. 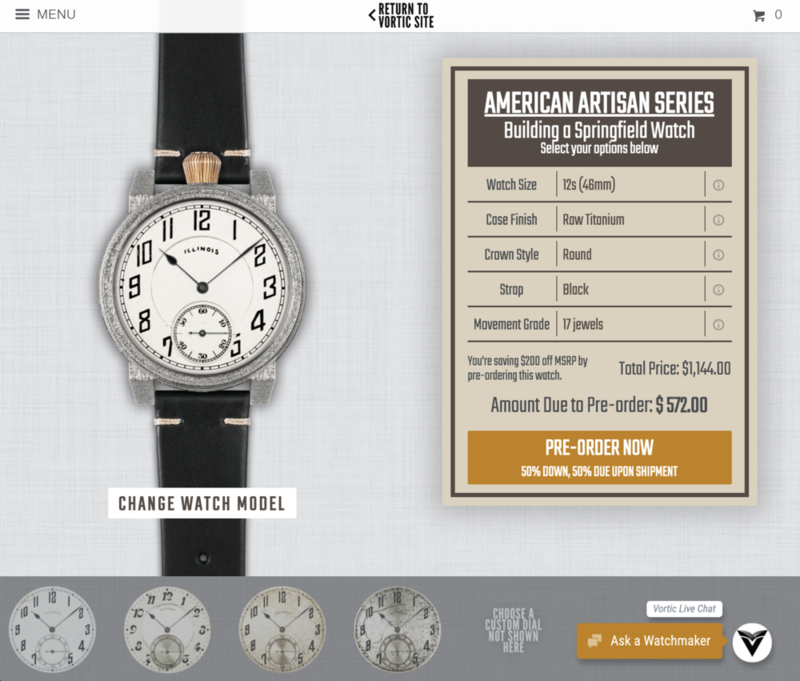 Together we worked with Vortic to build a custom Watch Builder web application for each of their product lines, the American Artisan Series, Railroad Edition, and Journeyman Series. These builders are 100% custom built, and designed in such a way that Vortic can add new watch movements, options, and inventory as they need completely on their own. 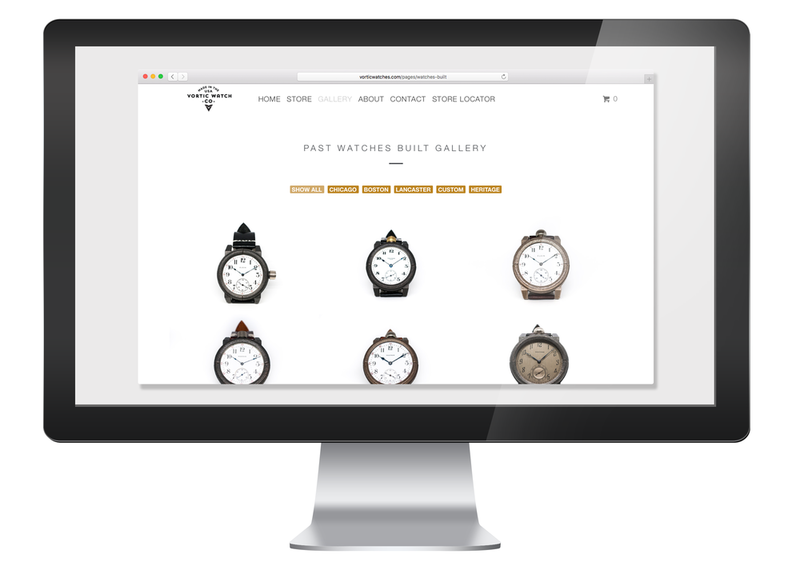 In addition to the watch builder applications and product information pages, we added features to the homepage such as a video header, improved the user experience on mobile devices, created a custom dynamically sortable gallery to feature some of the beautiful watches that they've built, and built a store locator to help users find where they distribute and sell their products. 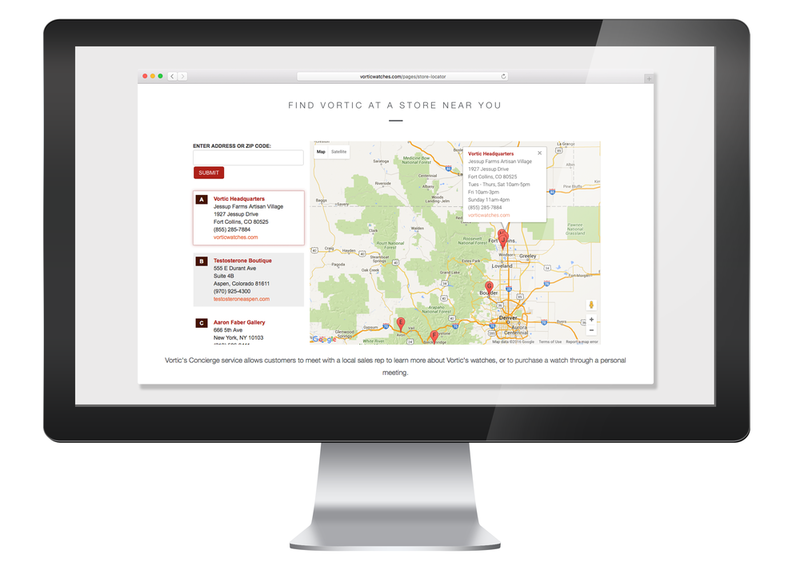 Vortic also needed images of their watches on people in everyday situations to populate their website, social media feeds, and print materials. Traverse was able to coordinate several lifestyle shoots in Colorado, as well as travel with the Vortic founders for part of a US tour promoting their new Journeyman Series watch line to capture lifestyle images on the go. Work with Vortic is ongoing, so check back for updates or follow along with us on Instagram or Facebook.